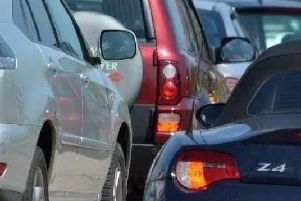 A three car crash caused long delays on the A1 at Wittering. The crash, which happened on the southbound carriageway at the Wittering turn off, Townsend Road, on Friday, January 15, was the second incident in two days. It caused congestion as far as the Burghley House junction near Stamford. There was also heavy traffic on the northbound carriageway at the Wittering turn, although there were no reported incidents. It is not known whether anyone was hurt in the crash.